‘Tis the season of giving. Giving thanks, giving gifts, giving hugs and caring. 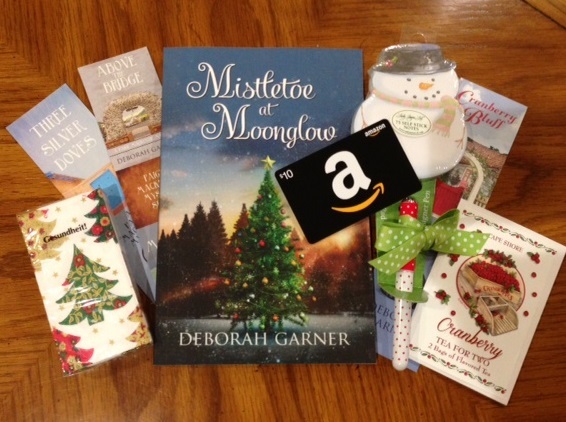 Each week from now until Christmas we’ll have a “super” giveaway, posted on my Facebook author page on Mondays, with a winner chosen each Sunday. Yep, that’s right. Because I want to give thanks to you for the amazing support I’ve received all year. Winners will be chosen by random dot org, so no reason to stress over answers. (After all, it should not be the season of stress!) Any comment counts, even just a smile!Starting off with a fun batch, pictured below.Some goodies you can use for stocking stuffers, or just to reward yourself for being you!